Simply put, the “Relative Age Effect” is the correlation between arbitrary age cutoffs in sports and the statistically high success ratio of kids with birthdates within a few months of those cutoffs. In the 1980s Canadian psychologist Roger Barnsley drew attention to the story of relative age in youth hockey players. Barnsley noticed that an extraordinary number of elite youth and professional hockey players had birthdays in January, February, and March. In the Ontario Junior Hockey league, nearly five times as many players were born in January than November. This held true for elite eleven- to thirteen-year-olds and again for players in the NHL! One of our biggest problems in youth sports is that we organize children chronologically instead of developmentally. While this certainly makes it easy to organize and segregate classes and teams, it puts our preadolescent children (ages five to thirteen) into situations where some may have a head start, or be denied one, because of birth month. Sure, two kids may be seven years old, but there may be eleven months of additional development for the child born in January. That difference can be huge at this age and affect them for the rest of their lives. When we segregate our youth athletes too soon – age 7 to 10 is pretty common across all team sports – the effects are amplified. As a result, studies in nearly every sport indicate that athletes born in the first three months after the calendar cutoff are overrepresented, and those in the other 9 months, especially the last three months, are under represented. For example, in the English Premier League Youth Academies, a whopping 57% of kids are born in the first third of the soccer year! 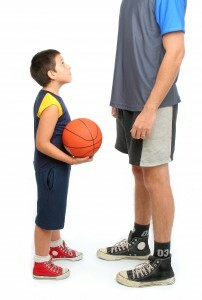 Do you know athletes who were affected by relative age? If so, please share your story below, especially if they are older and they are playing at a high level. You story might just inspire a future star of tomorrow to stick with it!